Street Fighter has always been the premier video game fighting franchise, managing to stay ahead of rivals like Mortal Kombat and Tekken. There’s also Blanka, one of the game’s original characters, which has featured in the franchise since Street Fighter II found its way to arcades back in 1991. 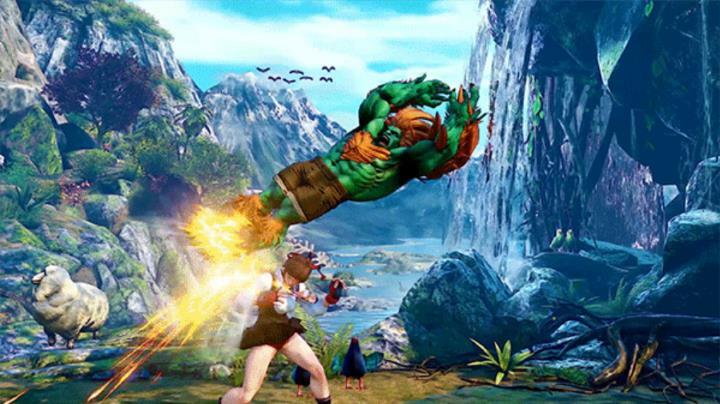 Blanka was curiously absent from Street Fighter V when it hit shelves in February 2016 though, even if developer Capcom promised that more characters would be added to Street Fighter V via DLC in the coming months, as was the case with Street Fighter stalwart Akuma in late 2016. And thankfully Blanka will also be available to buy as a DLC character (priced at $5.99 US dollars) or as part of the game’s season pass (which sells for $29.99) on February 20, as Capcom explains on its website. Like earlier versions of the character, Street Fighter V’s Blanka retains his beastly, green-skinned appearance, plus he can also perform most of the same attacks he could in earlier editions of Street Fighter. These include his quick rolling attacks, which can catch enemies unaware and quickly deplete their energy bar, and also his electricity-based attacks, which could be as hard to dodge as in earlier Street Fighter games. Blanka also gets new attacks in Street Fighter V, including a vicious new grab and throw move. And like every other character in the game, Blanka can also perform a “Critical Art”, Street Fighter V’s version of the Super Combos found in earlier games. It’s a good thing, then, that a classic Street Fighter character like Blanka is returning to the series, although it’s hard not to think that Capcom is still making up for Street Fighter V’s poor launch in 2016, as the game was seriously lacking in features at release. Although the recently released Street Fighter V: Arcade Edition is far more feature complete truth be told, and is also available as a free update for owners of the original game too. And many Street Fighter fans will no doubt be looking forward to playing as their favourite character in Street Fighter again, so hopefully Blanka will be as much fun to play as in Street Fighter V as he was in earlier editions of the long-running fighting franchise when this DLC becomes available today (February 20). Next: Atari is jumping on the cryptocurrency bandwagon – but why?